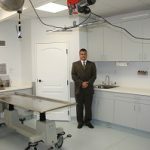 Building a new embalming room or remodeling an existing one can be a daunting task. 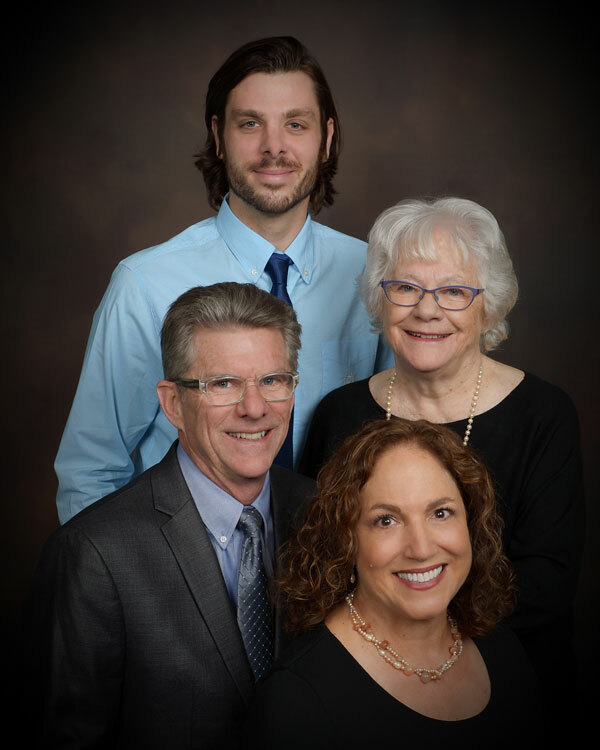 Duncan Stuart Todd developed Premier Source after years of experience in understanding the needs of funeral service professionals and the requirements of regulatory agencies. Premier Source is an all-inclusive package that combines architectural design with a range of time-tested equipment, all from a single source. 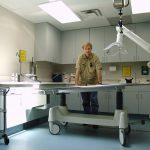 Duncan Stuart Todd has been creating state-of the-art, code compliant preparation rooms across the United States and Canada for over twenty years. Capitalize on our expertise and range of innovative equipment. Discover the benefits of a Duncan Stuart Todd preparation room below, or contact us now. It all begins with a clear vision. 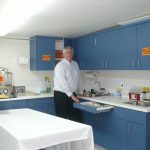 Our professional knowledge enables us to transform your ideas into design solutions that meet the functional and code requirements of the modern day preparation room. The staff at Duncan Stuart Todd is trained to help you realize your objectives and guide you through the design and construction process. We develop an effective working relationship with the project team and utilize detailed questionnaires, phone consultation, and technology to meet the needs of your project. After the room design is approved, Duncan Stuart Todd prepares 6 full size CAD drawings that address ventilation, placement of cabinetry, foot-end and safety equipment, as well as guideline recommendations for floors, walls, ceilings, and lighting. 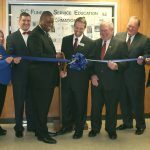 DST orders equipment and schedules delivery of products to dovetail with construction phases. 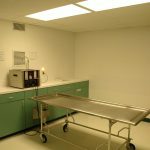 Perhaps the most critical issue facing funeral service professionals is the need to provide safe air in the embalming room. Duncan Stuart Todd specifies and supplies state-of-the-art PrepAir G2 Heating, Ventilation and Air-Conditioning (HVAC) and PrepArm Localized Exhaust Ventilation (LEV) Systems for your preparation room. PrepAir G2 systems heat, cool and ventilate the entire preparation room with 100% fresh air while using less energy than traditional systems. PrepAir G2 Systems are the first fully integrated HVAC systems designed specifically to produce the results necessary to meet or exceed OSHA standards for safe air in preparation rooms. Duncan Stuart Todd determines which energy efficient PrepAir G2 unit will work properly in your preparation room and provides CAD drawings and installation specifications. 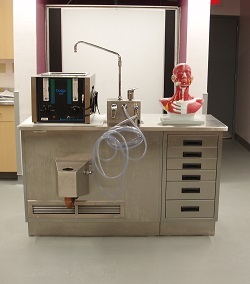 PrepArm LEV systems prevent toxic fumes from entering the breathing zone of the embalmer. LEV systems, recommended by the National Association of Funeral Directors (NFDA) and The National Institute for Occupational Safety and Health (NIOSH) are supplemental to whole room exhaust. 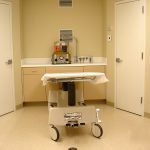 Five available PrepArm models accommodate installation considerations and address single and multiple station embalming room configurations. Visit our Ventilation page, click the links below, or contact us now. 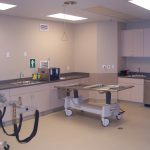 The Premier Source package includes all the equipment that is necessary for a proper functioning, code compliant embalming room. 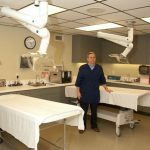 After your room design is approved, Duncan Stuart Todd provides an itemized proposal that includes Duncan Stuart Todd’s exclusive embalming room equipment and third-party products. 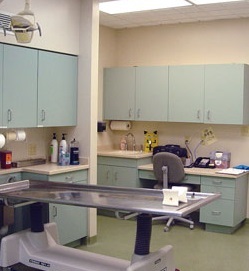 Equipment includes ventilation systems, foot-end equipment, and high quality plumbing and safety products. Our modern products are designed and manufactured based on over twenty years of continual evolution and improvement. 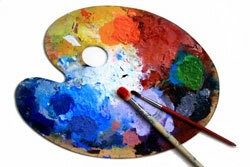 We provide the best equipment available at the best possible prices. Visit our Equipment page or contact us now. 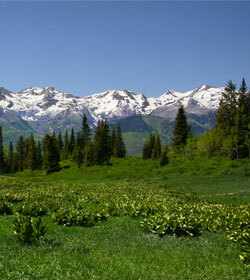 Premier Source includes custom cabinets that are tailored to each project. 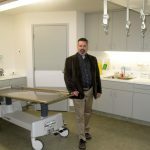 Duncan Stuart Todd cabinetry is specific to the embalming room and designed to meet the unique needs of the practitioner. 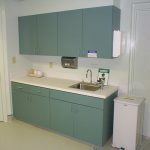 Among the custom features offered are upper and lower cabinets, bio-hazard cabinets, instrument drawers, and built-in desks. 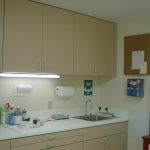 Cabinetry materials are moisture resistant and easy to clean. Duncan Stuart Todd’s long-time fabricator manufactures your cabinets with care. Professional detailed cabinet drawings make installation easy. 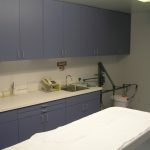 Premier Source includes seamless medical grade flooring, rub rail wall protection, and high-scrub paint. Our Interior Elements packages offer a coordinated palette of colors and surface materials for cabinetry, wall coverings, paint and flooring, all selected by a professional interior designer. Duncan Stuart Todd will send color samples so that you can select the perfect scheme for your new or renovated embalming and dressing rooms. Duncan Stuart Todd is committed to serving its clients throughout the design and installation process. 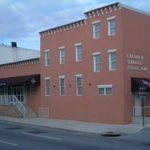 We provide drawings and specifications to assist your construction team and are available for direct consultation with your architect, general contractor, plumber, HVAC technician and other support staff. Duncan Stuart Todd has established a reputation for superior quality in design and products, a tradition of service to the client, and respect from funeral service professionals. 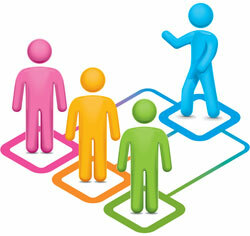 We are available for assistance year after year. 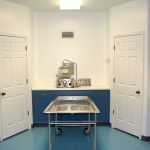 We have designed hundreds of preparation rooms for remodeled and new funeral homes and look forward to the opportunity to serve you on your project.